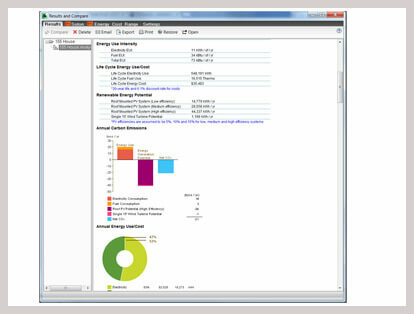 Superior energy and environmental performance inside the building using Revit building elements and programs like Autodesk Revit and Autodesk Insight 360. Energy Analysis Models (EAM) are used in whole building energy simulations, and gbXML is a common format for representing these models. Translating from a Building Information Model (BIM) to an Energy Analysis Model has historically been an error-prone and time-consuming process. Basically, an Energy Analysis Model (EAM) is an abstraction of a building's overall form and layout into a 'computational network' that can capture all of the key paths and processes of heat transfer throughout the building effectively. BIM offers entirely new way to create an EAM automatically from Revit building elements and two programs like Autodesk Revit and Autodesk Insight 360 can be used to create superior energy and environmental performance inside the building. Working in Revit makes it simple to find data about the building being modeled, such as its life cycle energy use or its renewable energy potential. Instead of drawing lines to design buildings as in older CAD programs, actual walls and building elements are being drawn in Revit. Because of this, as the model is drawn, the program is noting the materials and insulation values as well as other properties of those materials. Once the model is made, Revit has the information it needs to come up with an energy model for the building.